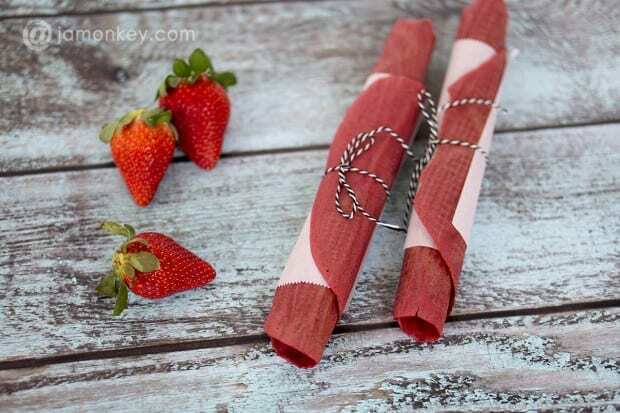 One of my favorite snacks is fruit leather. When we stopped eating high sugar and processed foods we cut out fruit roll up type snacks. Luckily, I was able to find an alternative to our favorite snack and it tastes even better homemade without any added sugar. It's also incredibly simple to make. Every batch I make only lasts a few days because my family gobbles them down so fast. 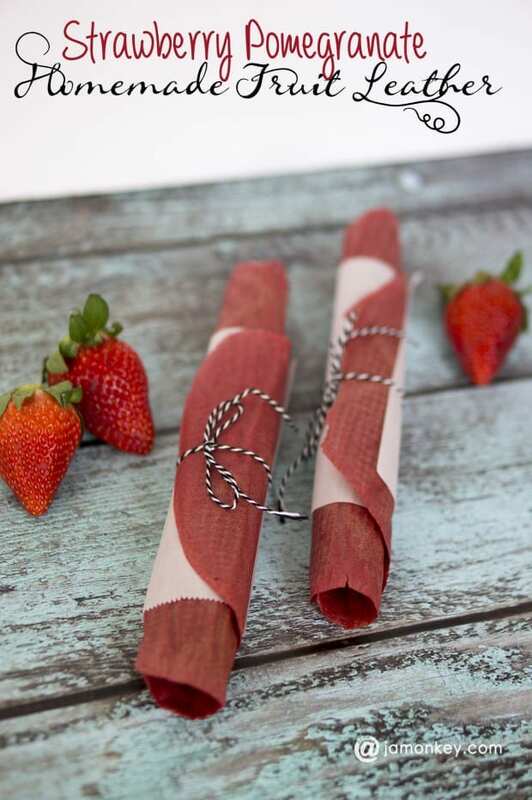 You can make fruit leather in an oven that has the ability to get down below 200 degrees. But the best method by far is with a dehydrator. Plus, if you enjoy jerky, dried fruit, or fresh herbs from the garden then you'll want to invest a good dehydrator. I got an Excalibur 4-Tray Dehydrator for Christmas this past year and we have been using it for all of the above. We also decided to plant beans this time for the first time so it's going to get a lot of use this year. Here is what you will need for this fruit leather. Line your dehydrator trays (or cookie sheet) with parchment paper. Pour the mixture into one big sheet or pour into individual circles. This is my personal favorite method because it's thicker and you don't have to bother cutting it when it is finished. Make sure you don't spread the mixture, you'll end up with uneven spots and areas that are too thin. When you pour the mixture tap the tray on the counter to help separate it. But just remember, thicker tastes better. Dry at 130 degrees F for 8 hours or until leathery. 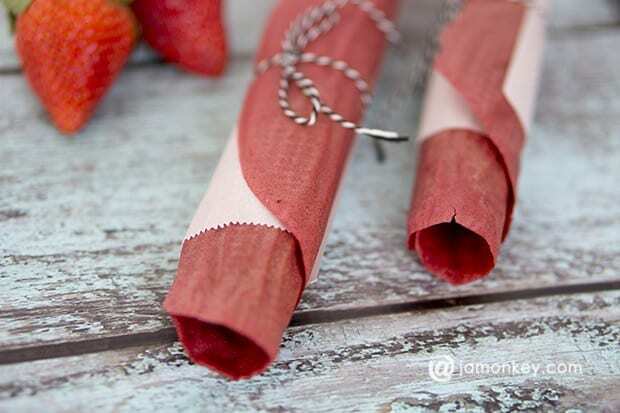 When your fruit leather is dry you should be able to peel it off the parchment paper. Place them in an airtight container. If they make it that far. Do you have a recipe that uses a dehydrator , instead of the oven? Do you mean a recipe for the oven? This recipe is designed for the dehydrator already. If you are using an over it would depend on how low your oven can get. Some can go below 200 degrees F. You are just pulling enough moisture from the liquefied fruit to make the leather.